A unique and powerful ecourse series designed to help you Reclaim Your Life. Are you tired of being overwhelmed and living out-of-order? Could your home, work, health, and spirit use a BOOST? Reclaim Your Life with the #LifeReclaimist 4-part E-course Video Training series! You’ll learn how to Reclaim Your Household, Reclaim Your Work, Reclaim Your Health, and Reclaim Your Spirit in these video and worksheet downloads that will take you step-by-step through each area of life and guide you to living the life you were meant to live! I’d just like to let you know once again that I thought this training class was excellent. Thank you Vicki. – Bill R.
I just attended the Virtual #LifeReclaimist Training Courses presented by Vicki Norris and it was awesome! I have been a professional organizer for 35 years and heard things in this course that I have never considered. Vicki has a special way of presenting to her audience that makes you feel that she really cares, knows exactly what she is talking about and you immediately trust that what she says is not only true but she has tested it and proved it on thousands of clients in her 19 years of being a professional organizer. If you are in the Northwest and you need some assistance with the organization of your home or office, Vicki is the master and her employees are trained to care and professionally bring order to your environment. 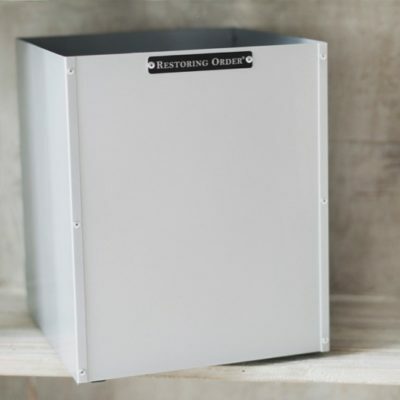 If you are not in the area, she has organizers that can help you virtually to eliminate the clutter and reorganize any area of your home or office. Give her a call. You won’t be disappointed. Vicki’s Life Reclaimist Training Course is insightful and energizing. The course covers everything from identifying and eliminating home and office clutter to the discovery and release of the internal clutter held deep within our person. Vicki’s course helps you take a deeper look into the internal inside out process beginning with eliminating the internal clutter that results in the external clutter. This series offers meaningful insights, points, processes and reflection to reclaim life! After you spend time in this series you will finish energized either as you reclaim your own life or as you are able to help others reclaim their life. Enjoy and be blessed! I was moved to join the virtual workshop for Reclaiming My Life because I was feeling particularly out of order after the holidays. I was looking for some sort of central principles to get my thinking clarified, but really, all I expected was some organizing tips, and maybe some clever new techniques.. I knew I had a mess in all areas of my life: personal, work, spiritual, relationships. There did not seem to be any place to get started! The Reclaiming Order workshop series turned out to be a lot broader and more helpful than I expected! More than just a system or a method, Vicki set us on a hunt for what really was out of order, what was the reason for the discomfort we each felt. I didn’t feel singled out or criticized – in fact hearing how the other people in the workshop were also confused and discouraged was really helpful. Vicki has a way of focusing on what each of us wants, not what we don’t want. Her attitude of respect is very impressive. I felt no sense of negativity which was amazing, since I had been judging myself harshly for not being on top of things! I felt like I was out of alignment with my own values. Vicki made it seem possible to plan to really get myself straightened out rather than just shifting piles from place to place and making all sorts of complicated systems I would not maintain. She showed me how to just forgive myself and start over. That was the most amazing part – I was overwhelmed before the series and after it I felt like I had a challenging set of actions to take, but no longer out of reach. I am so grateful for the mental shift that will help me have the energy to actually clean and organize things instead of just feel bad about it! That was all Vicki – she has such a generous heart and she isn’t afraid to let that show. 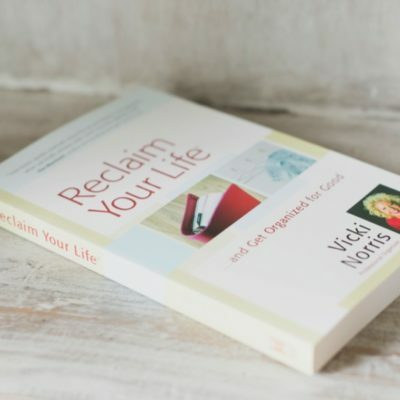 Vicki helps guide you to discover where the internal clutter is (and how to work through it) to help you unclutter your external world! Her insights and encouragement is so compassionate and helpful – she’s on the journey with you! The information is specific to the different areas of your life but universal and can be applied to all areas, the four courses compliment one another! Vicki is inspiring and motivating!